Parhikuni and Intervías are the best way to get to Morelia. Both offer luxury class service. Weekends will have more cultural events than weekdays. It will be cold at night so you should be sure to stay somewhere that has heating. Not all lodgings do. 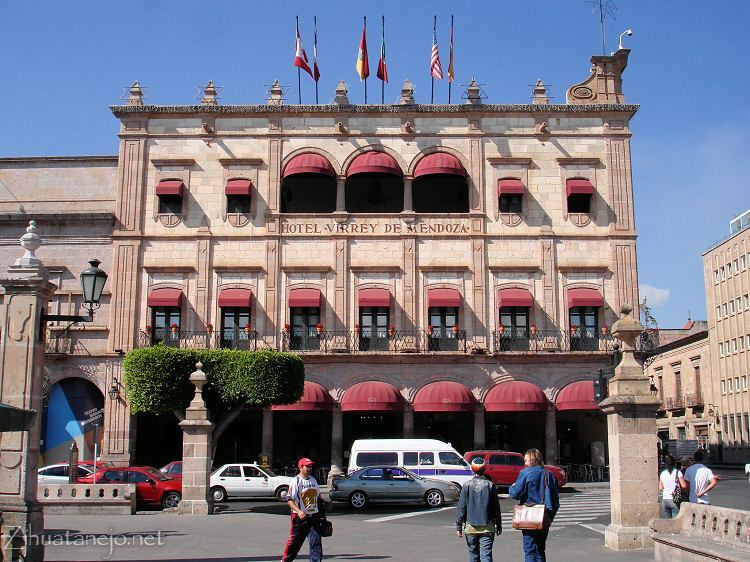 Many excellent lodgings to choose from within easy walking distance of the main plaza. I'll let others post their recommendations. Travel safety? I don't know of any issues. I wouldn't hesitate to travel there with my family. Hundreds if not thousands of people make this trip every day. This lovely hotel is right on the main plaza. You forgot to add "check the archives." Ha! That was my first thought but then I thought that's what I always say! Look at me trying to be unpredictable. What? You can’t ask for another blanket? Ha! Funny girl! You should've seen me getting out of the shower all wet with teeth chattering for at least 5 minutes before I could utter a coherent word. My coconuts turned blue! Mustering all my willpower. I will not go there. I will not go there. Just don’t go there. Repeat. Both times we went to Morelia, Jesu picked us up at the airport(was not suppose to because of the taxi union). We did not know that the Butterfly Reserve was closed in October. He gave us the best tour of the villages between Morelia and Patzquaro. He took us to a famous Mexican artist's home and studio- we met him and then his daughter gave us a tour of his studio in their home and her studio downstairs where she made designer purses(good thing we had very few pecos and she didn't take credit cards- cheapest was over $100.00). The villages were so interesting and each was different. The best part of the tour was going into the beautiful churches> Some had wood floors with crypts under the floor and others had tile. Found out later, the wooden floors were not helped to maintain by the State and was taken care of the villagers- the ones with tile got money from the State. His service was arranged by the B&B. Friends of mine just cancelled their trip due to the fuel crisis. Use caution right now. We went out Tuesday to have a little adventure and buy gas. We found no issues in this area what so ever. The three Pemex we saw on Hwy 200 were open, no lines, we filled up. The two in town were fine. Fill up here, and again in Patzcuaro if necessary. There is bound to be a message board there that would say if there was a gas issue there. I went to Morelia for medical reasons between 2010 -2016. My favorite place is the TUROTEL. I used to pay the equivalent to USD55.00 per night. It seems to be well-maintained, room sizes are quite adequate and showers with excellent water pressure. Location is on a main crossroad type intersection. Although it is not in the heart of town, you can be there in 5 minutes. All the local transportation such as "Urvans" are frequent and inexpensive. The breakfast buffet is great with well-rounded healthy type food choices and was included in the nights lodging.